What To Do With Lana Lang? 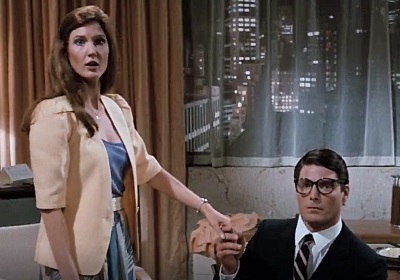 Lana Lang was basically a derivative of Lois Lane. I mean, when they decided they wanted to tell stories about Superman in his youth, they introduced another love interest to complicate his life, who had the same initials. Lana did eventually come to be her own character though, and became one of Clark’s closest childhood friends, alongside Pete Ross. That makes her a handy character to have when flashing back to his upbringing or whatever, but what can we do with Lana in the modern day? 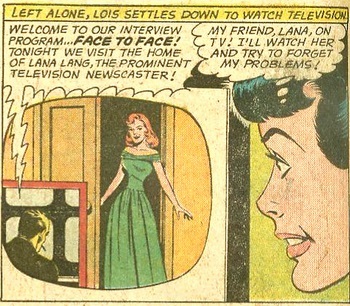 I consider it telling that there is no iconic version of Lana Lang’s adult life. In the Pre-Crisis comics she became a television reporter and worked with Lois and Clark. Post-Crisis she married Pete Ross. In the movies, she stayed back in Smallville until Clark brought her to Metropolis. On the 90s cartoon she got into the fashion industry. On the show Smallville, she got powers and left town or something. In more recent comics, she actually became the hero Superwoman. Basically, there is no consensus on how to use Lana after Clark is grown and Lois comes into the picture. Well, I’m on board with her becoming a superhero. Lana, like most of the cast, spent a large portion of the Silver Age gaining temporary super powers, but unlike the rest of the cast, she doesn’t have a defined role elsewhere in the mythos, so there’s no shame in latching onto that. If I’m saying that Jimmy is a representative in the story of someone being inspired by Superman to help the world, Lana is that in the past tense. She’s been inspired and, through whichever contrived means, has also gained superhuman powers. Time to get to work. In the hypothetical run I’m creating, in which the rest of the DC Universe doesn’t exist, we’re going to want other heroes around to help out during the big events. Lana can be that. It’s worth noting that, in her recent book, she was in a romantic relationship with Steel. I don’t have enough interest in that relationship to care yet if it stays or it goes, but at the very least it would help keep Steel around. Permalinked: What To Do With Lana Lang? Nexted: Have You Heard About Foolishnessism?